Fully Armed gunmen stormed "Atlantic Palm Suites" a prestige high class hotel in lekki Lagos & robbed every single rooms that only have lodgers in the hotel that have two mobile policemen on guard but where nowhere to be found during the robbery. 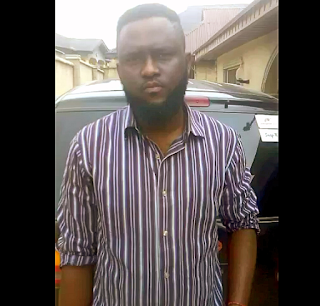 One of the guest lodger which his name remains unknown in the video stated that "Armed robbers stormed the hotel that claims to have maximum security with two armed policemen but one was off duty on the day of the robbery & more so the hotel "Atlantic Suites Lekki were given all kind of excuses after the robbery". This is a very sad moment for the man in the video above and he is callin every Nigerian on this case. Please Watch the video & help spread the message because the situation most not go unattended to by the hotel "Atlantic Palm Suites Lekki Lagos".